If you’re aiming to impress you could always bake these in flowerpots. You will need to soak one large or eight small terracotta flowerpots in cold water for about 30 mins. Dry thoroughly, then brush the inside of the pots with oil and line with parchment paper. Shape dough into a smooth round with a roughly pointed shape at one end so it half-fills the pot. Leave until doubled in size. 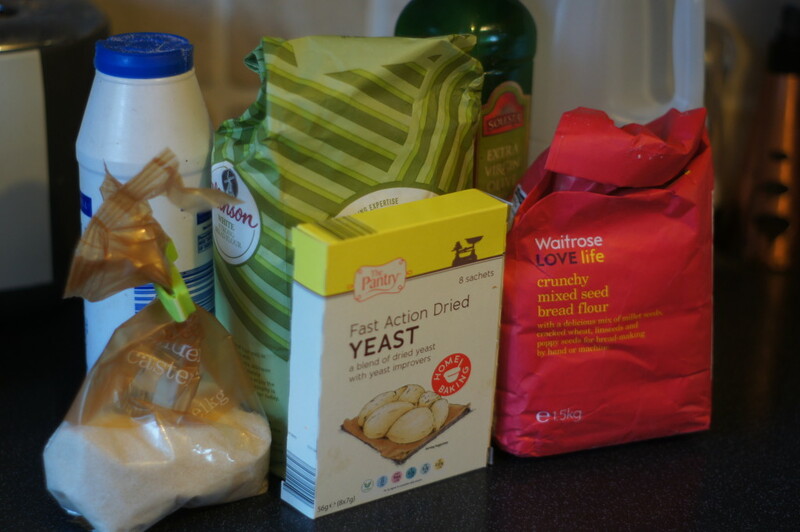 1) Mix the flours and salt together in a large bowl, then stir in the sugar and yeast. Make a well in the centre of the flour and pour in the warm milk, olive oil and enough of the water to form a soft, wet dough. 2) On a lightly floured surface, knead dough for 10 mins until smooth. 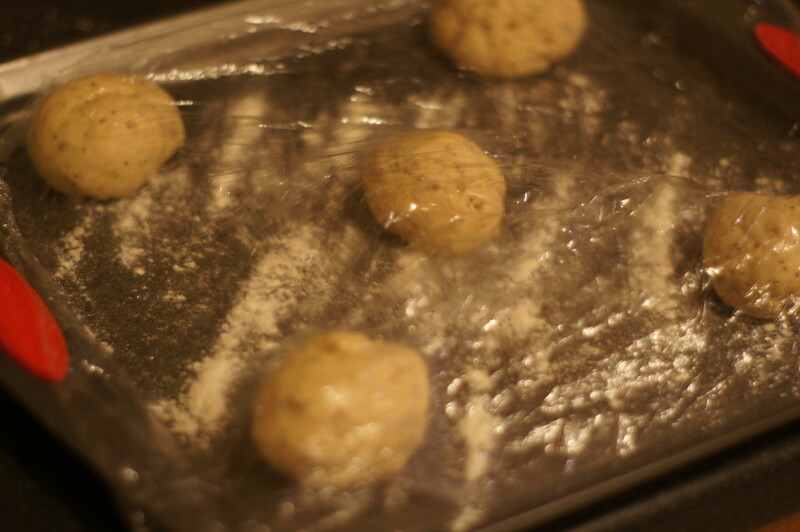 Put the dough in a lightly oiled bowl, cover with oiled cling film, then leave to rise in a warm place until doubled in size. The dough is now ready to be shaped. 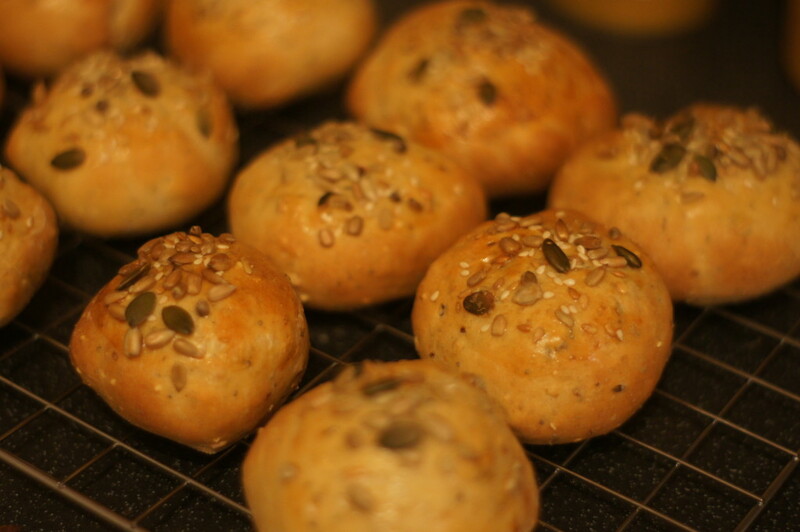 3) To make 12 rolls, divide the dough into 12 pieces and shape into rolls. Lightly flour 3 baking sheets. Place the rolls onto the sheets and cover loosely with oiled cling film. Set aside in a warm place for 30 mins or until they have doubled in size. 4) Heat oven to 200C/fan 180C/gas 6. Brush the bread with beaten egg and sprinkle with sesame and poppy seeds. Bake for 15-20 mins until deep golden brown and well risen.